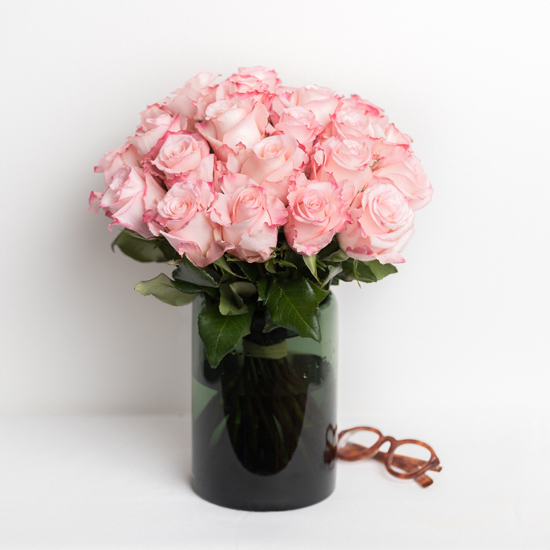 Our pink roses stand out as feminine and elegant in this hand-tied bouquet. Whether it’s for Valentine's Day, a birthday or an anniversary, these roses are sure to bring a smile to their face. 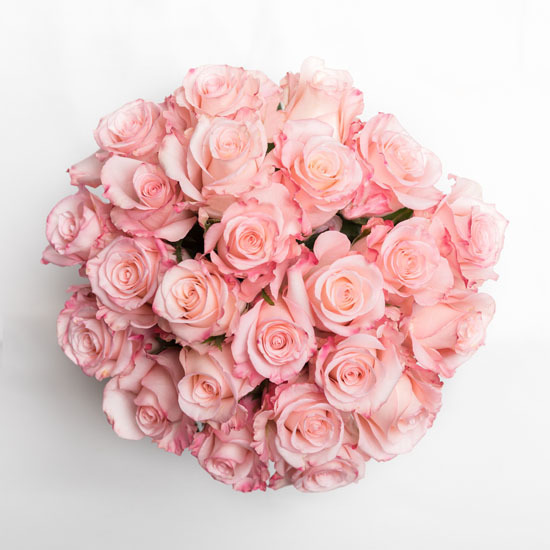 Our pink rose bouquet is a beautiful and elegant way to say, “I love you,” or surprise a friend on their birthday. These premium roses come from eco-friendly farms in Ecuador to ensure you get some of the highest quality roses in the world. When this stunning bouquet arrives, you’ll find the stems are already clipped to 15”. 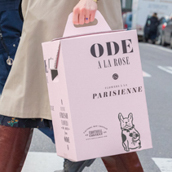 This ensures your roses stay healthy and beautiful while on their way to their destination. We also include flower food and instructions to help the blooms last for five to seven days. The feminine connotation of pink makes our pink rose bouquet the perfect gift for everything from Mother’s Day to your wedding anniversary. Pink exudes feelings of grace and appreciation, and what better way to express these emotions than sending a bouquet of pink roses to someone you admire. You don’t even need a special occasion — our pink rose bouquet comes in various sizes and price points, so you can make someone smile. 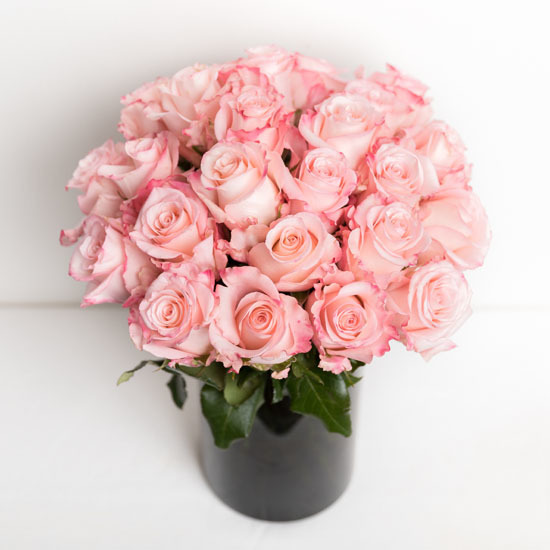 Purchase our pink rose bouquet today for same-day delivery in NYC and Chicago or next-day delivery on weekdays throughout the Northeast. Today is the day to show someone you care.